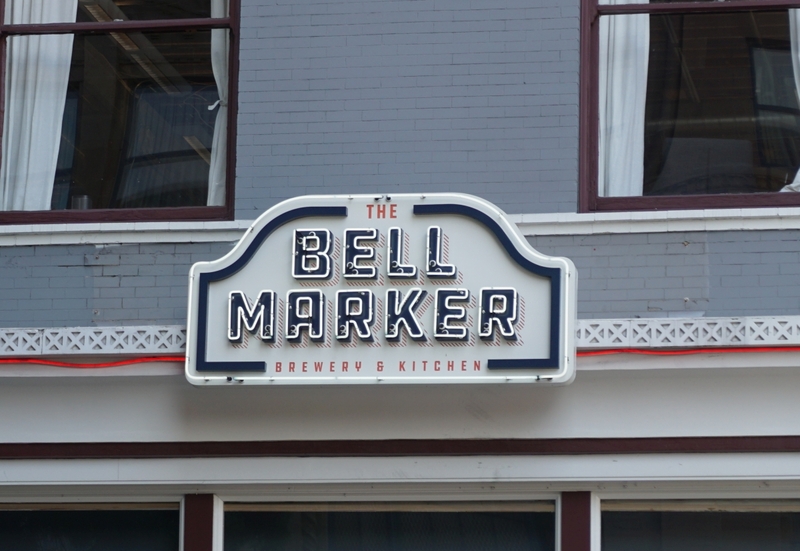 The Bell Marker took over a spot on the corner of 6th and Broadway. They had a wide lineup of beers so that it would have been difficult to try them all even doing flights. I happened to visit during happy hour so I had pints rather than my usual tasters because they were only $4 a piece during that window. If you are there for happy hour, I highly recommend you order the hummus plate, which is a great deal and a healthy meal when paired with a pint. I first had a pint of their English Brown. This is a style I don’t order very often in San Diego but when I saw the lower alcohol it was worth trying a splash. As expected, the American Brown they have is a bit more hop forward and higher alcohol than the English style. I loved the dark color like a porter. The beer was roasty and quite flavorful for the low alcohol with notes of chocolate and caramel. Some may say this borders on porter territory with the prominent roast but it is a delicious beer either way and a rarity with the low alcohol. I returned another day and had the cream ale and Belgian Wit. I was going to try their pale ale or session IPA but the splashes of both were a bit high on the bitterness and I wasn’t feeling them so I went on the lighter side. 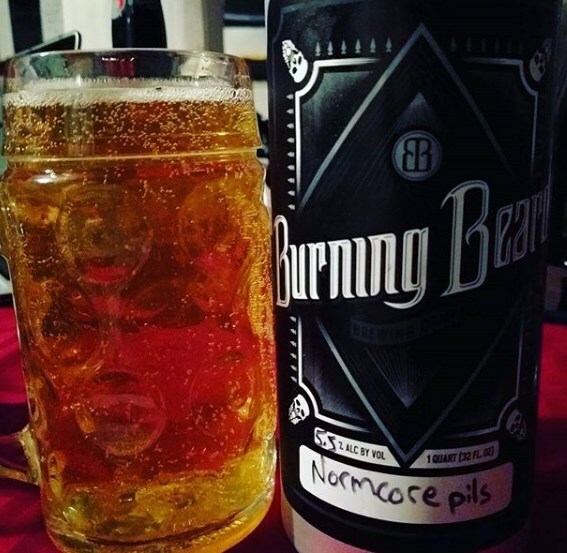 The cream ale was crisp and delicious with notes of pear and peach with a soft body. The Belgian Wit was super dry with a hint of clove and a mildly earthy finish. It paired wonderfully with their hummus plate and is one of the more authentic versions of the beer I’ve had locally. My husband drank the milk stout both times and it was tasty with a mix of caramel and roast with a medium body and not overly sweet. 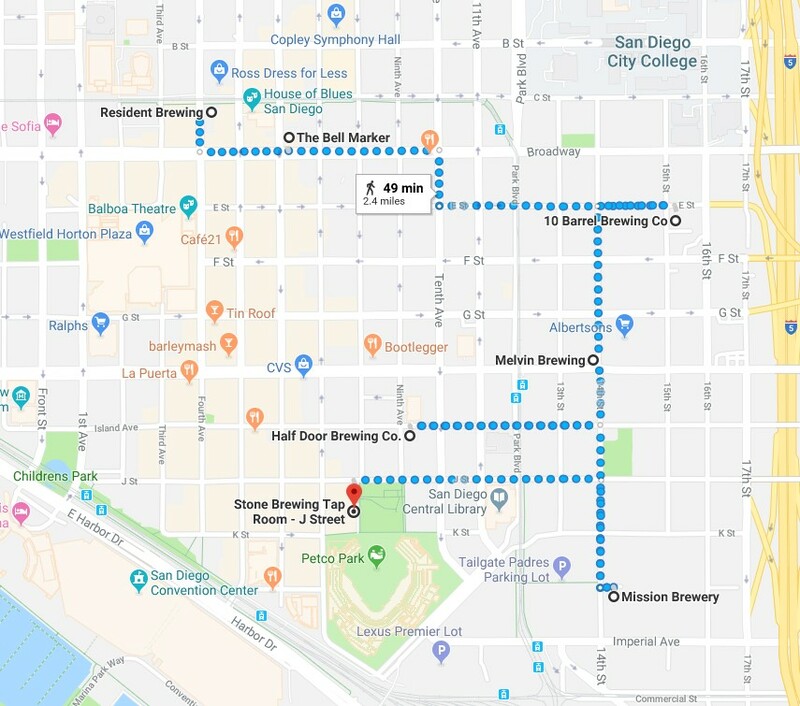 If you are in Downtown San Diego it may not be too far to walk to Bell Marker. 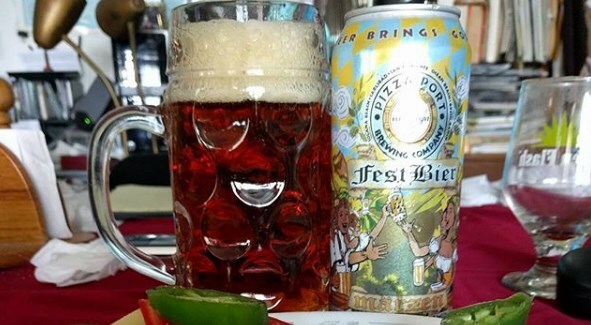 If you do, you will find a good variety of solid beers and a broad menu of food options. 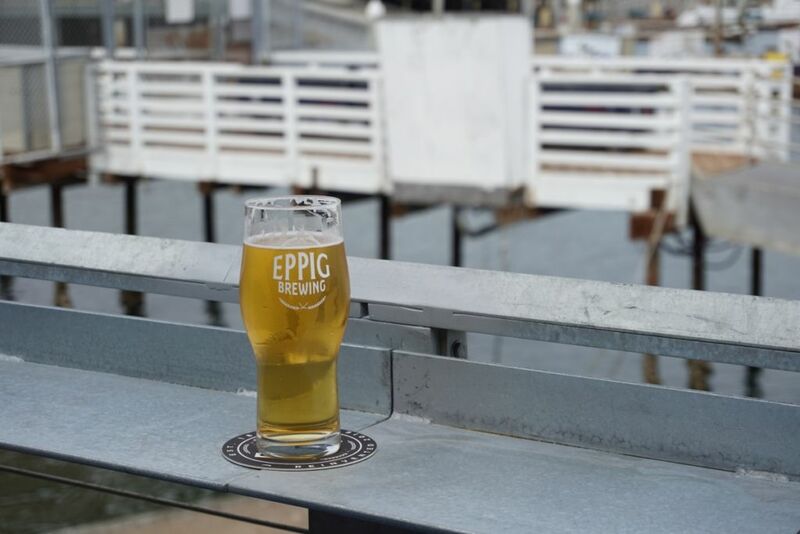 Their happy hour is currently 3-6PM daily with $4 pints and discounted appetizers. They have a good sized restaurant with standard restaurant seating and a good sized bar. 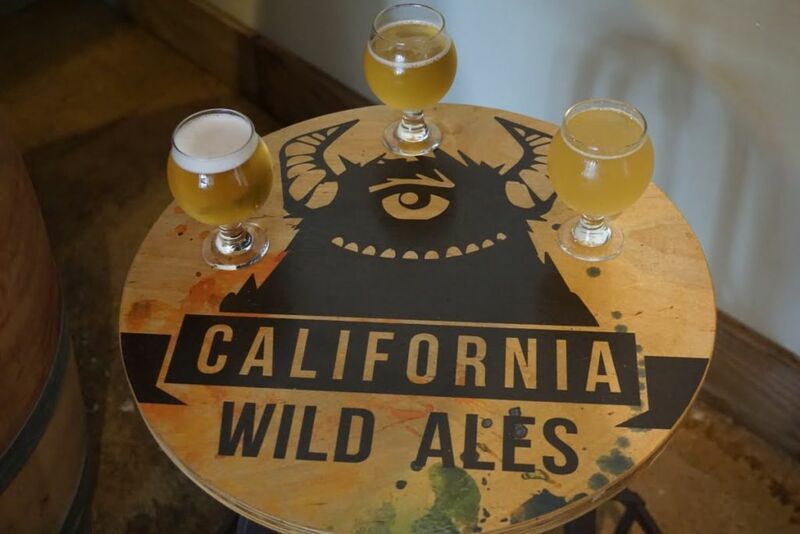 California wild ales had its first day open to the public on April 7, 2018 with the release of its salted yuzu sour. 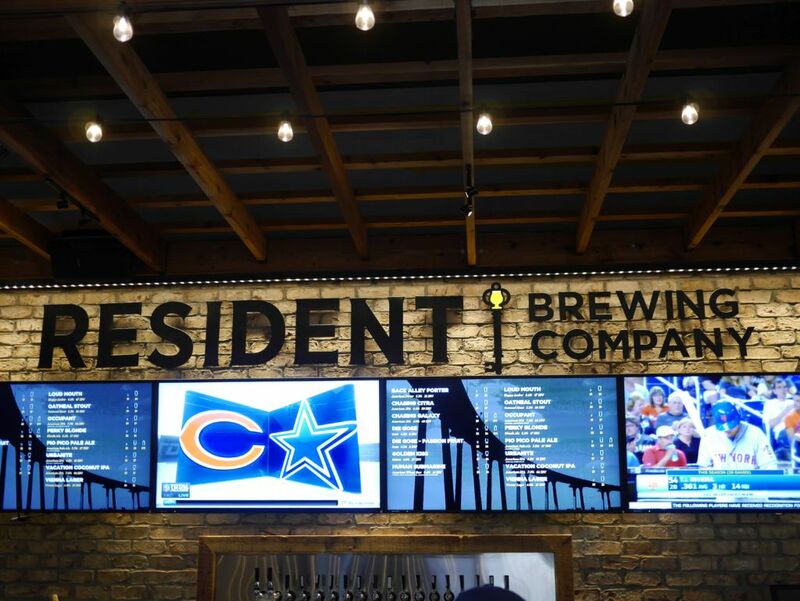 Before that, you could only taste the beers occasionally on tap around town or by purchasing bottles with the membership. The tasting room is located in an industrial area of Sorrento Valley. The front entrance is actually in a walkway between two buildings while the back entrance is the side more easily accessed near the parking area. The tasting room itself is fairly typical in size with some small tables to hang out and drink your tasters but for the most part it serves as a location to pick up your bottles. I tried three of the beers they had on tap and found all three of them to be fairly subtle both in fruit flavor and tartness and acidity. 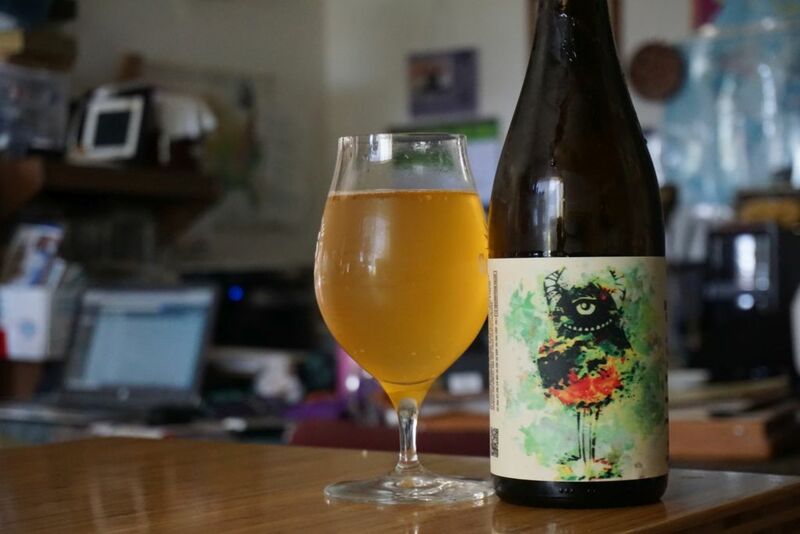 Of the three, I found the stone fruit sour to be the most complex with more hints of earthy funk and overall more fruit flavor than the other two. The other two beers that I tried were a guava sour and the salted yuzu sour that I was there to pick up. If I were to decide primarily based upon tasting the beer, I probably would not have picked up a bottle of the salted yuzu although the beer was a bit more complex in the bottle because the carbonation was be from a reaction to the yeast as opposed to forced carbonation. 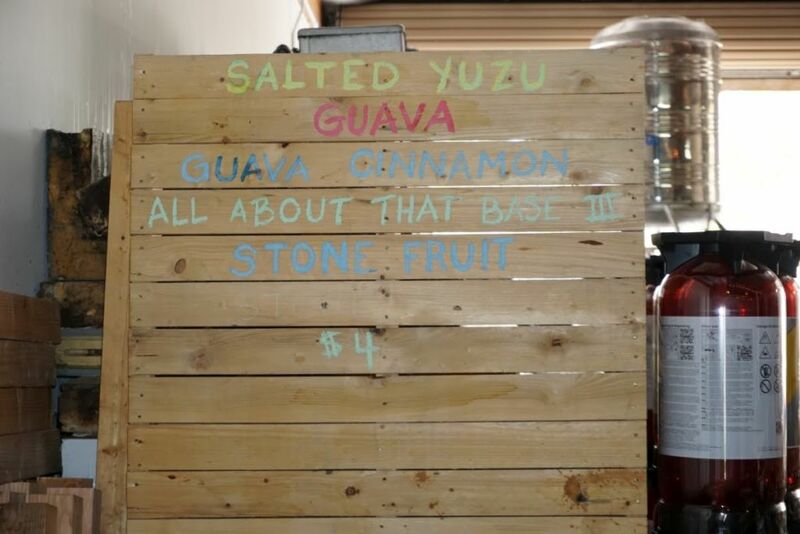 Both the guava and yuzu sour were fairly subtle in fruit lightly tart and lightly acidic. The yuzu tended to be a little bit more citrus in flavor but between the two the distinctions were fairly small. Since visiting, I got to try the salted yuzu out of the bottle. The first bottle erupted with carbonation quite quickly. The beer has much better carbonation from the bottle. 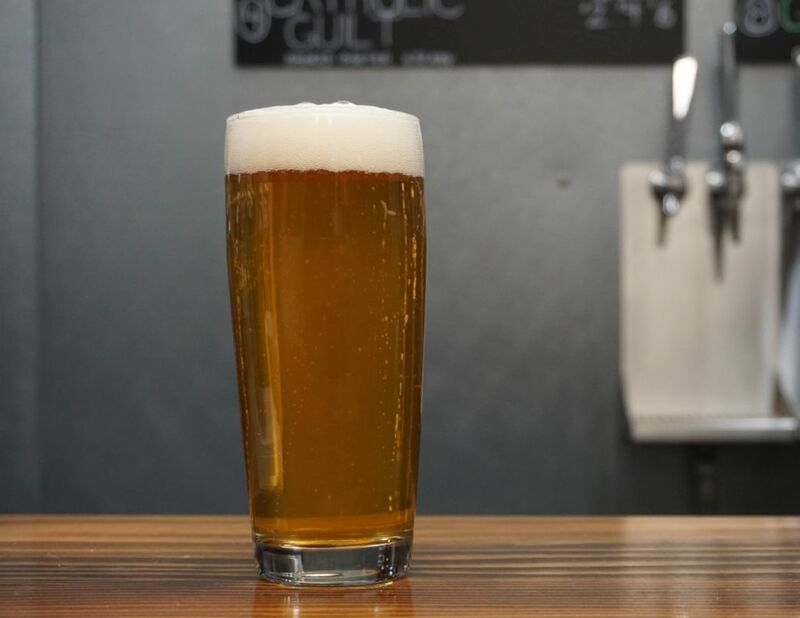 The beer has light buttery oak character and minimal citrus from the yuzu and much more funk than it did on tap at the release. It is a nice refreshing sour but not something that I would want to pay full price for at their bottle prices. Hopefully over time they will lower the price because with the small amount of fruit I taste here I don’t see the beer being worth $20 a bottle. If you want to come and taste for yourself, for now the brewery will only be open during specific days when bottles they release are available to pick up. Eventually they will be adding public hours on weekends so keep up with them on social media to figure out the best time to stop by. 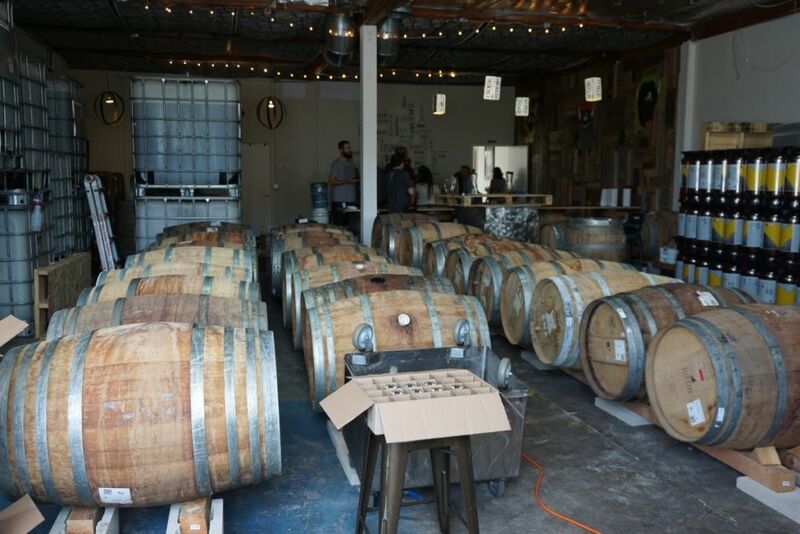 California wild ales only produces barrel aged sour beers. 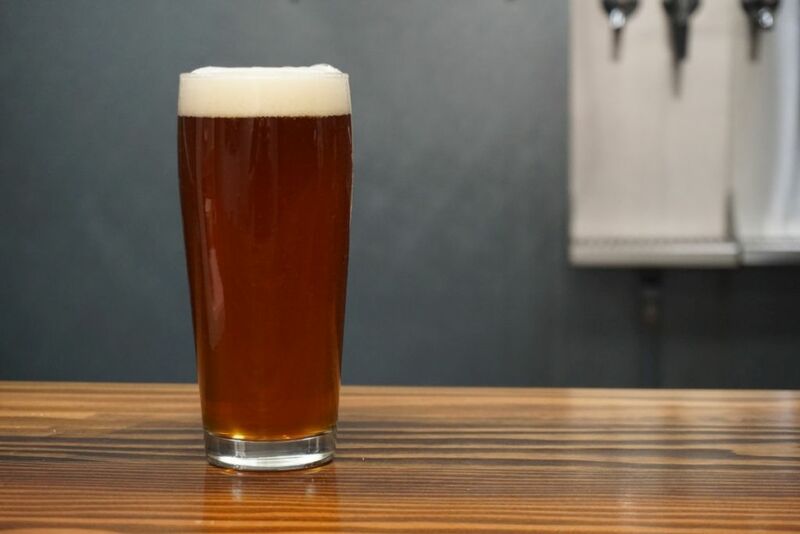 You will not find any other styles on tap. 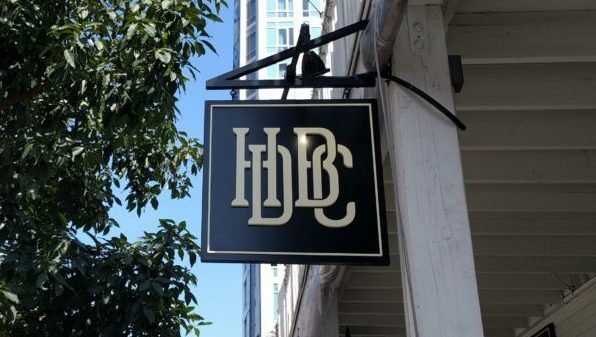 Disclaimer: I am good friends with one of the people who works for the brewery though I don’t sugar coat my review of places just because of that. I want to help friends achieve greatness just as much as anyone else. 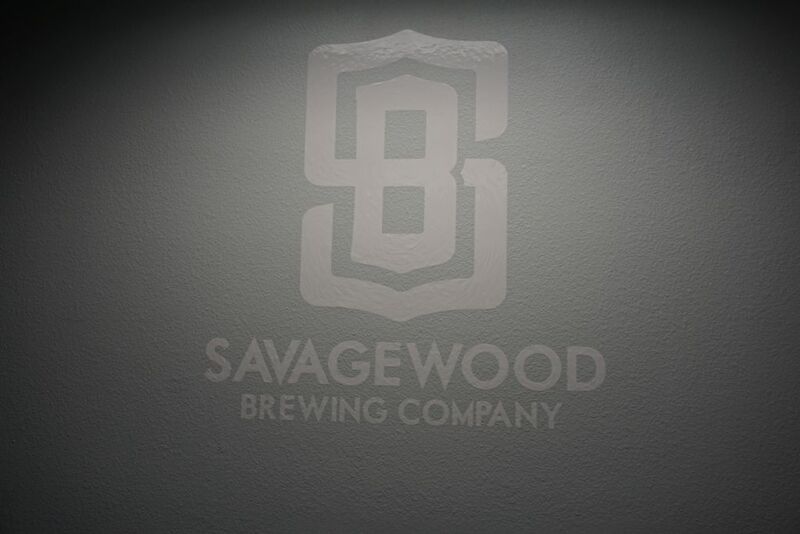 I stopped by Savagewood for their industry appreciation night. Since I went with my brother I was able to try a few more beers than I might have if I was alone doing pints. I tended to stay away from anything O’Sullivan Brothers had already made prior because they were solid but nothing I cared for. 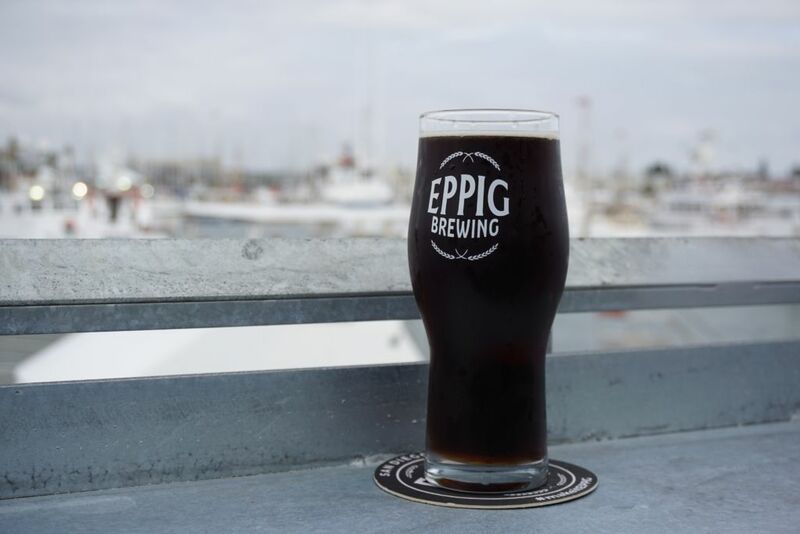 They managed to license the recipes of a few of the more popular beers O’Sullivan Brothers had made, which is nice because otherwise they wouldn’t have a dark beer on tap. I started with their ESB, which was solid though not up to the quality of my other favorites around town. It had a nice malt backbone with light apricot hop character and low bitterness. It could have been a little more attenuated (less sweet). 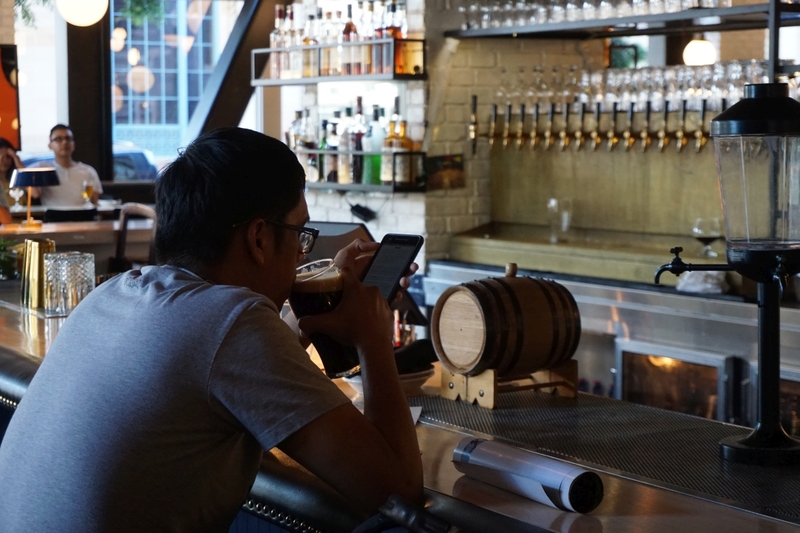 They have the same beer available on nitro though they don’t seem to understand how nitro works because the nitro version is quite under carbonated and not all that different from the regular. The saison was below average with a strong bubblegum flavor and an overpowering sweetness that bordered on cloying. I’m glad I wasn’t the one who ordered that pint. The session IPA was equally underwhelming with a strong malt backbone that wasn’t attenuated enough leaving a syrupy sweet base with minimal hop character to balance it out. The IPA was solid, if fairly standard for the classic West Coast style. 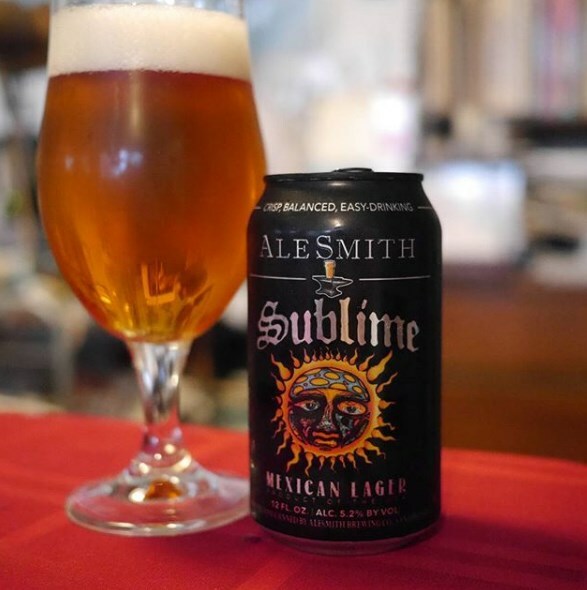 It blended notes of grapefruit, pine, tropical fruit, and light floral hops with a dry finish and low bitterness. The IPA, while clearly better than the rest of the lineup, isn’t that different from the other offerings in the area. 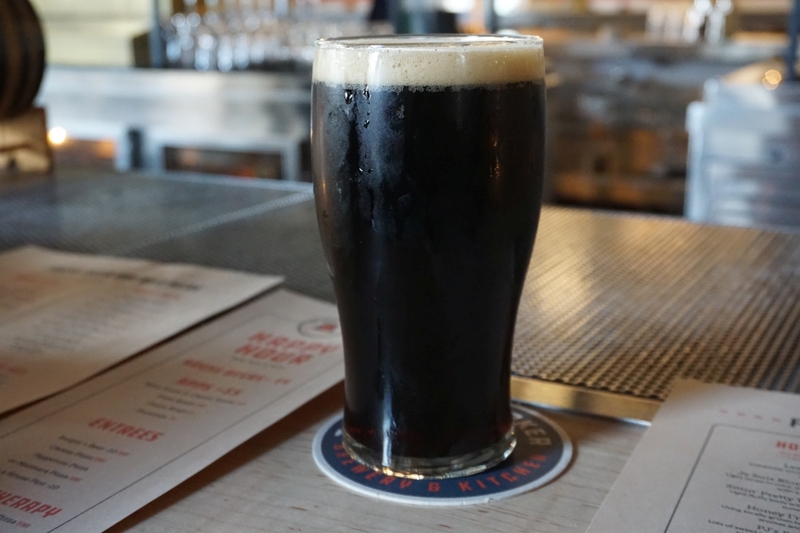 Though Savagewood is still an overall improvement over O’Sullivan Brothers, they need to do more if they want to differentiate themselves from the crowded beer scene in the Mira Mesa/Miramar area. 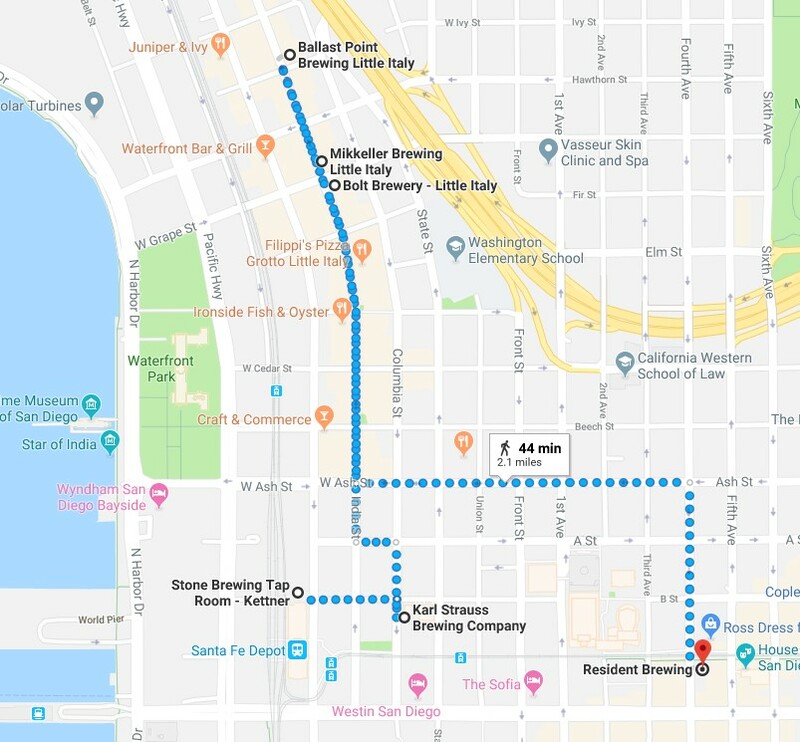 Their core lineup of a Mango Heffeweisen, blonde ale, ESB, session IPA, IPA, and saison isn’t going to do much to bring in beer geeks though the IPA should satisfy hop heads who are looking for a solid IPA to knock back.